Hello fine members of DTNY, while all of the details are not set in stone as of yet. I just wanted to inform you folks that there will be a Dtoid New York party on February 26th in North Jersey. If you want up to date info on the event as we confirm everything, check out the Google Group, Twitter, and Facebook for any future info. Most likely ,more details will be announced next week. So be on the look-out. 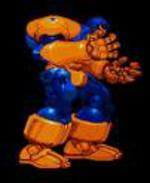 That's all for now, I am off to celebrate the return of our great mascot, Mango Sentinel, to MVC3. Peace.